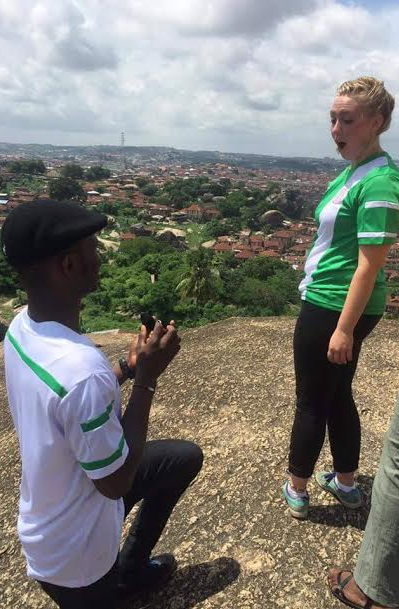 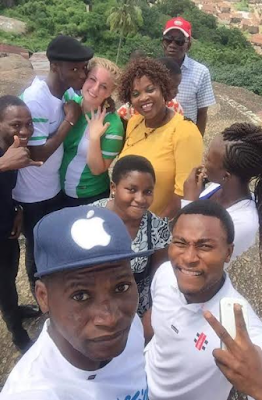 An adventurous Nigerian man proposed to his white girlfriend at the top of Olumo Rock yesterday september 13th in Abeokuta, Ogun State, Nigeria. 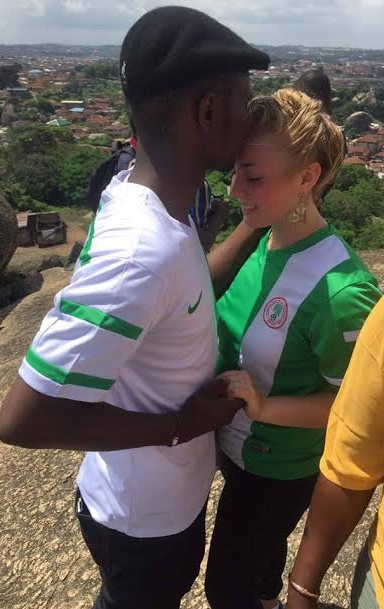 Both couple's were on green white green Nigeria's jersey. 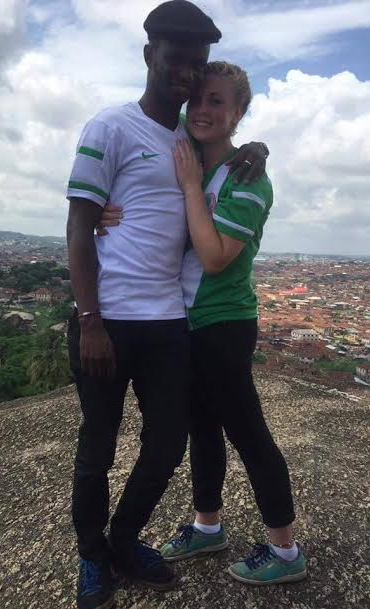 Congrats to the new couple's in town.